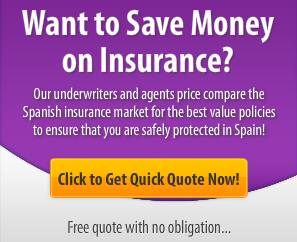 The Catalana Occidente Group is one of Spain’s largest insurance groups. Founded in 1864, it has vast experience in the industry as you can imagine with that history. The group is renowned for its solid track record and proven solvency, as well as its coherent and profitable management. Catalana Occidente offers its services by a branch network as well as agents. With our car insurance MILLENNIUM always enjoy the basic equipment, which guarantees maximum security. No claim bonuses, adapting it now enjoys. Statement of claims by telephone. Effective claims management in specialized centers. Quick survey for your convenience. Repair and / or replacement of windows at once. Travel assistance from Km 0 24 hours. Telephone Medical Advice Service 24 hours. Payment recovery courses for driving license points. Catalana Occidente is a major brand name you can trust when looking for motor insurance. It is obligatory in Spain to have a minimum of third-party insurance but we highly recommend you take out fully comprehensive car insurance. The Risk Life Insurance is a necessary protective measure. Through a single policy you can get complete protection against major risks that may arise throughout your life. The Catalana Occidente Risk Life Insurance guarantee for a certain time, which you choose, the coverage of the insured in case of death as the optional inclusion of other coverages, such as disability or serious illness. If you also want to, you can include funeral insurance. With the Multi-Risk Family Home Insurance – you protect your family and home against the most common and frequent risks to those exposed. Building : In a broad sense is the building or part thereof in which the insured property is located. Contents : Includes items that are inside the house. Family Liability : Claims as may be directed in case of civil liability for damage caused to third parties. Legal Defense : The defense of their interests to be taken by or claims against claims that may be addressed. Home can be combined to address risks such as fire, theft, water damage, etc. A complete range of products to suit your needs and that of your family. All medical specialties, through a Medical Network includes more than 20,000 professionals and 450 medical centers, managed by our associated organization Sersanet, which can go to your preferences. Choose a physician and hospital anywhere in the world. You can go to the most prestigious in the world. A financial aid for each day of hospitalization. Owners of houses that form the community are considered third parties together to cover civil liability arising from damage caused by the water distribution pipes and building evacuation. Community Assistance – 24 hours a day as a result of an accident, noting also the locksmith and emergency power and other services. If you are an expatriate looking for insurance in Spain then Catalana Occidente it’s probably not the best company for you unless you happen to be fluent in Spanish. It isn’t set-up to provide English-speaking services as well as some of its competitors. This may change of course. Are you a customer of Catalana Occidente? We ask you to please provide your personal opinions and reviews of Catalana Occidente’s many different services in Spain so that we can help other readers looking for insurance. 3.101.475-Z. Your help would be appreciated.